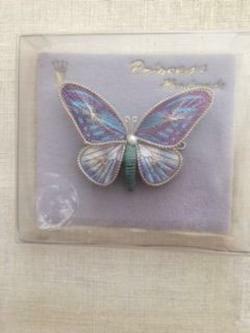 Vintage, Princess Jewelry, rare handmade butterfly brooch/pin; handmade in West Germany. Never used, still in original box. 2 and 1/4 inches across and 1 and 1/2 inches in length.